Ultra Bali, are two words that became popular at this time in Bali. Ultra Bali is the name for the international music festival that will be held in Bali by Ultra Worldwide. Ultra Music Festivals is an international music festivals. This year the festival held in various countries, Bali became one of the chosen among several countries. 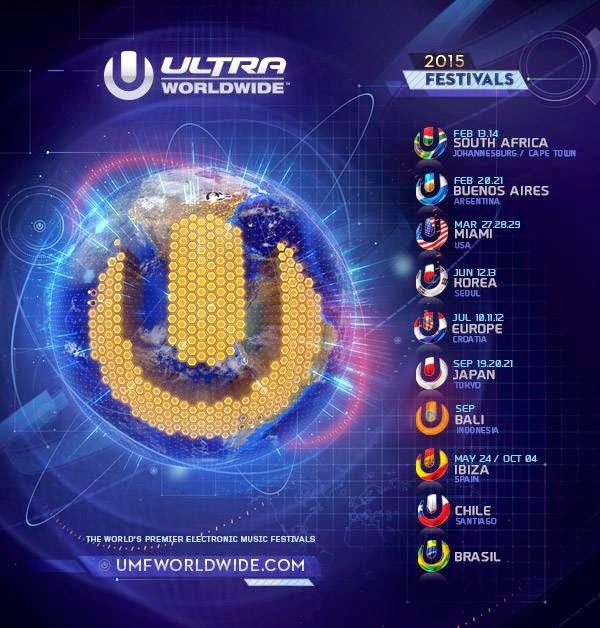 This season Ultra Music Festivals starts from South Africa in February. Bali will be held in September 2015. Not to know the location where the festival will be held. Ultra Music Festivals seems almost identical to Dreamfield Festivals. Music festivals the most sought after by those music fans from all over the world. If the Ultra Music Festival held in Bali, likely to take place at the Garuda Wisnu Kencana (GWK). Because at that location is very appropriate and suitable as a main place international music festival. Ultra Music Festival will be held in Bali, party goers immediately greeted this with great excitement. Because Ultra Worldwide is the global edition of the event Electronic Dance Music (EDM) which is the largest in the world, namely, "Ultra Music Festival", in addition to that previously existed in Bali, namely Dreamfield Festival. Festival on the season is the first time in Indonesia, and Bali as a destination that could be considered as the best location in Indonesia, because Bali is a gathering place for people from various countries, including the fans of Electronic Dance Music (EMD). Partygoers are the people who most love this festival. Because they can gather at the same place. As Dreamfield Festival at GWK, they come together and enjoy all the music until morning. Schedule will be convening Ultra Bali (Ultra Music Festival) is on September 25, 2015. However, there has been no updates on the location to be used as a music festiva this. The artists who will fill the festival also has not been announced. Also on the ticket will be sold in Bali. So fans of the festival is to be patient and keep looking for the latest info on this music festival.